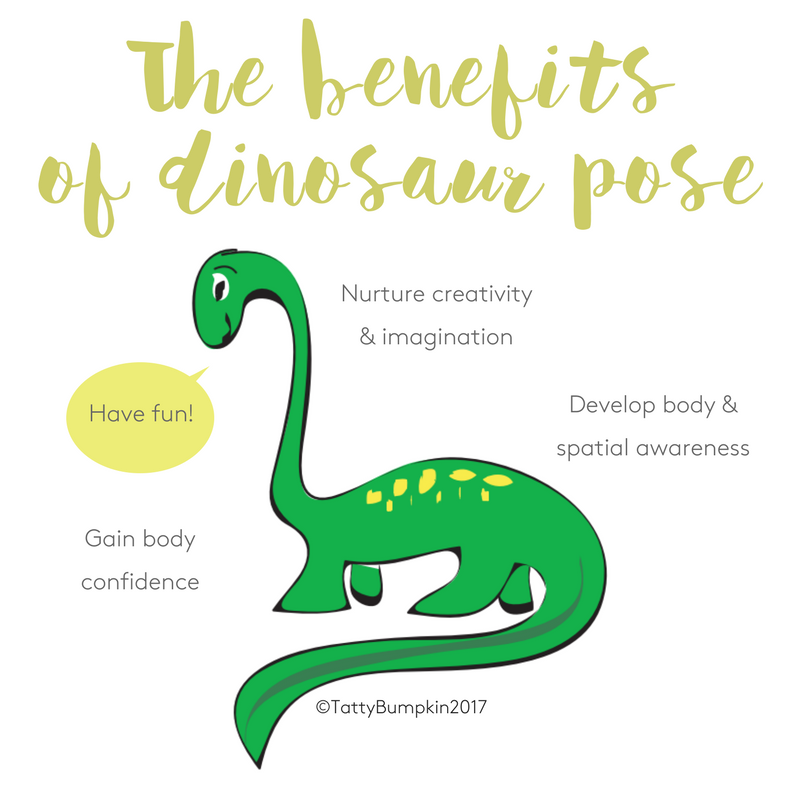 Dinosaur pose is a chance for your child to let their imagination run wild! In all the Children Inspired by Yoga poses, we encourage parents and carers to do the pose along with their child. Children learn a great deal from watching. They also bond with other people when they are moving with them. Plus it gives you a chance to have a break and a stretch! Firstly find a non-slip mat or an area of carpet where you can both do the pose. Make sure you both have enough room around you to avoid bumps and knocks. Take off socks and shoes, as its far better to do the poses with bare feet. Barefoot, your child will slip less and will be able to do the pose more accurately. 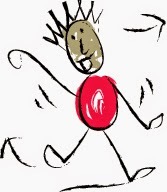 Interestingly we rely on sensory information passed up through the soles of the feet to balance. Now imagine you are both dinosaurs! What kind of dinosaurs are you going to be? Or maybe you have spines down your back? Take turns with your child to pat down each other’s backs – great for body awareness. Giving your child the time and space to come up with new ideas for dinosaur shapes and think of different ways their dinosaur might move or sound will nurture their creativity, imagination and independent thought. 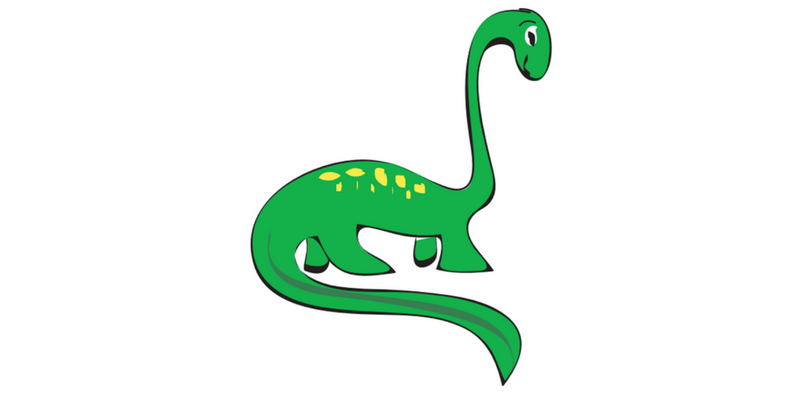 Support your child’s ideas by demonstrating dinosaur shapes of your own. Your child will learn a huge amount through looking at others. As your child discovers and explores the different shapes they can make with their body, they will build up a more accurate picture or ‘map’ of their body. A growing awareness of their body shape and how it is changing will give your child ‘body confidence’ and encourage them to tackle new activities. What could be more fun than pretending to be a dinosaur? This pose is a fantastic way to let off steam and play together. 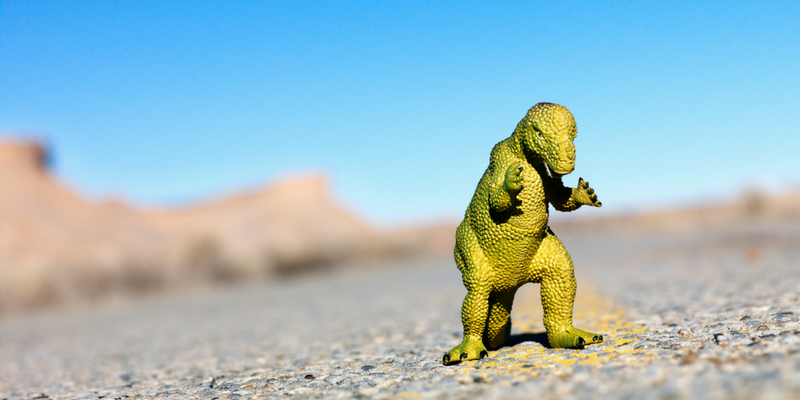 Try moving in different dinosaur poses while listening to music. How about ‘Roar‘ by Katy Perry, or ‘Walk the Dinosaur‘ by Was Not Was? 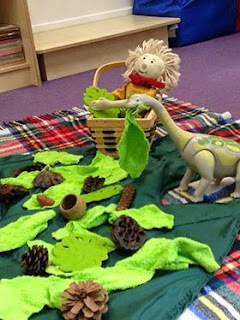 Work in a team to make a delicious dinosaur picnic. Research shows that if children have a chance to explore different foods, with all their senses, before they are asked to eat it they are far more likely to have a taste.